I went on a short vacation, driving down Highway 401 and Interstate 75 from Toronto to Florida’s Gulf Coast. From there, I went on to Miami and Miami Beach, before flying back north; first to New York, then back home to Toronto. On the drive down, I took the opportunity to visit some of the cities along the way. Once I crossed the border and entered Detroit, my route followed Interstate 75 all the way. The great highway, 2,875 kilometres (1,786 miles) long, goes from the Canadian Border at Sault Ste. Marie to Naples, Florida, and via Alligator Alley to just north of Florida on the Atlantic Coast. Interstate 75 passes through Detroit, Cincinnati, Knoxville, Chattanooga, Atlanta, and Tampa; all were stops along the way. Four of those cities — Detroit, Cincinnati, Atlanta, and Tampa, all are either building, or have completed, new streetcar lines. Tampa’s TECO Line is a vintage heritage streetcar (like those in New Orleans and Memphis), the other three are modern streetcar lines that are or will be similar to those in Portland and Seattle — short urban circulator routes. 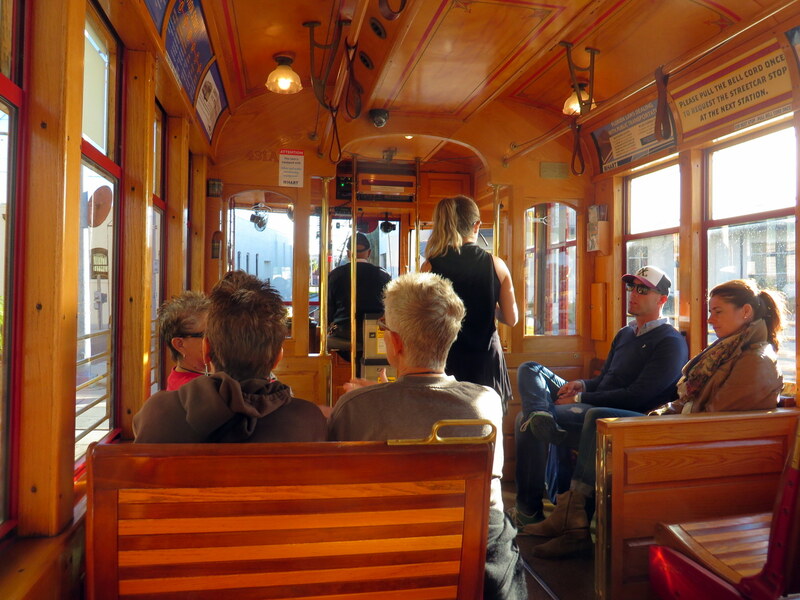 Nearly all streetcar routes build in the last decade have followed Portland’s model of a modern circulatory streetcar; older systems, such as Tampa’s (or those in Memphis and newer lines in New Orleans) are heritage-type streetcars, using vintage or replica equipment on lines that are part of the regular transit system, but geared more to tourists and occasional riders. Unlike light rail, (think Calgary’s C-Train, or Los Angeles’ Gold, Blue, Green, or Expo Lines), the new streetcar systems being built in the United States have short stop spacing, usually run in mixed traffic (or in separate lanes on city streets), and are often built to promote urban development, tourism and/or local transit ridership. The systems planned or being built here in Ontario, such as Ottawa’s Confederation Line, or Kitchener-Waterloo’s ION line, should be considered to be light rail (though ION will be partially running in city streets in Uptown Waterloo and Downtown Kitchener). After the First World War, plans were drawn up for a new streetcar subway line through an abandoned canal bed on the north side of the downtown core, with a new parkway built on top (Newark and Rochester also built streetcar subways in disused canal beds; Rochester’s was abandoned in the 1950s, Newark’s City Subway is still in use as part of its light rail system.) 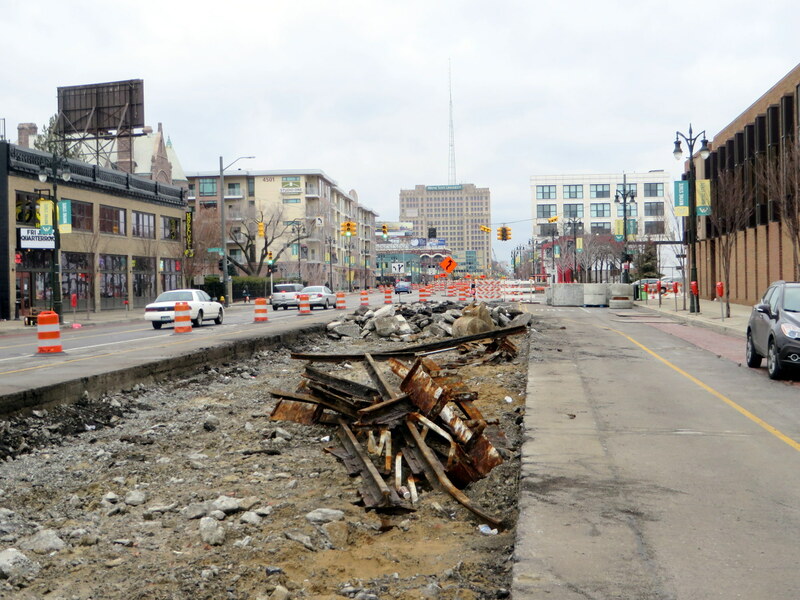 Central Parkway was built; the subway underneath was partially completed, and when the costs to complete the line soared, and construction bonds ran out, work was abandoned. The Cincinnati Street Railway completely got rid of its streetcars in 1951. Interestingly, many of Cincinnati’s streetcars continue in service here in Toronto. The purchase of 52 PCC streetcars was the first of several streetcar acquisitions the TTC made from American cities abandoning their street railways in the 1950s. 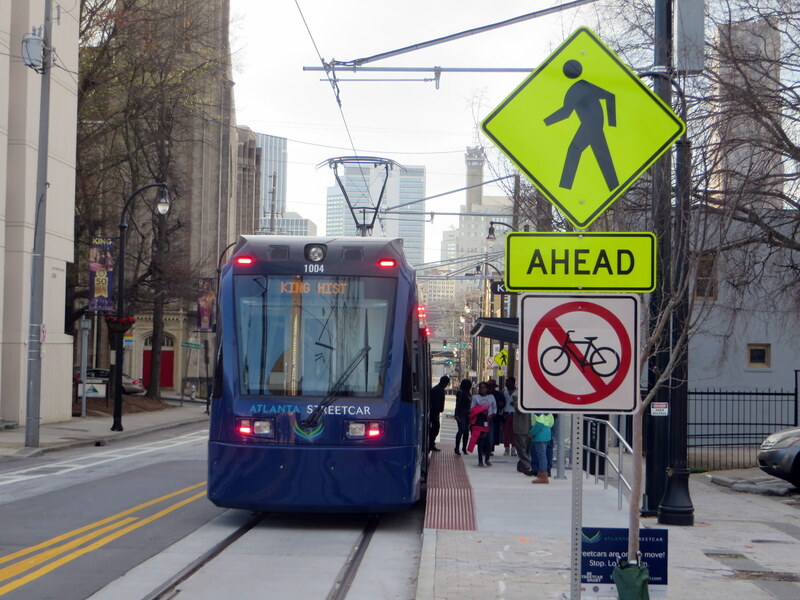 The Atlanta Streetcar opened on December 30, 2014, so I got to ride it a week after its launch. 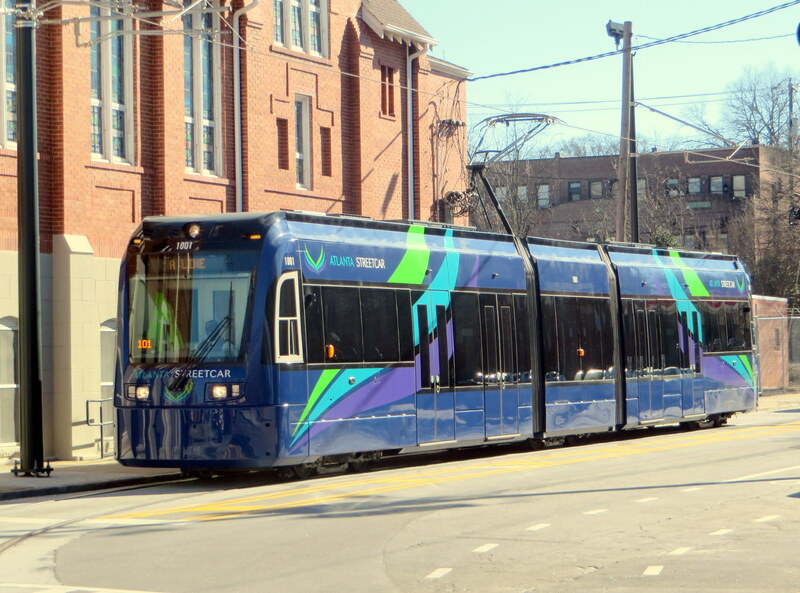 The Atlanta Streetcar, intended as the first phase of a larger system, connects downtown with the near east side, an area known as the “Old Fourth Ward” which includes the Dr. Martin Luther King Historical Site (where the civil rights leader was born, grew up and preached at his community church). The route, a one-way loop, similar to Cincinnati’s project, is only 3.7 kilometres long (2.3 miles); streetcars currently run every 10-15 minutes. 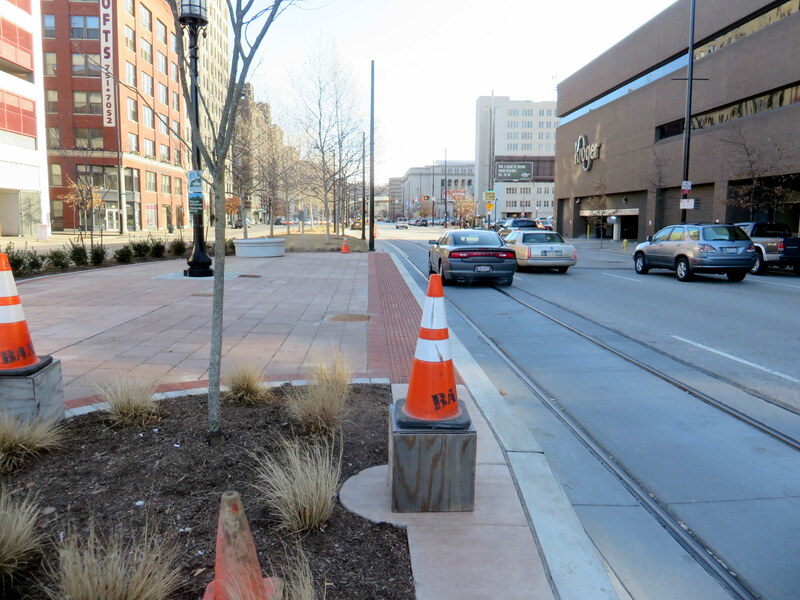 For the first three months, the streetcar is free. Atlanta ripped out its streetcar system in the 1930s and after the Second World War; the last streetcar operated in the Georgia capital in 1949. I’m a Torontonian, and I have loved streetcars since I was a small child. They have a certain “magic” that buses simply don’t have. Here in Toronto, and San Francisco, Philadelphia, Melbourne and many cities in Europe, streetcars/trams are an essential part of the transit network. 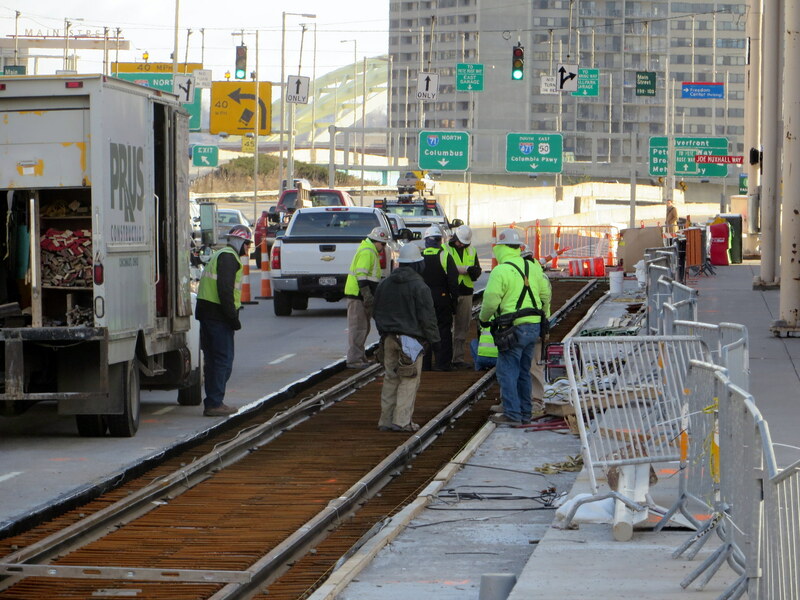 Following Portland’s lead, the new modern streetcar lines being built across the United States (Washington, Milwaukee, and Kansas City are also building new streetcar lines) are looking to rail transit to promote mobility and economic growth in specific parts of those cities. Perhaps the small starter lines being built now will grow into large networks. This entry was posted in Transit, Travels and tagged Atlanta, Cincinnati, Detroit, Streetcars, Tampa, Transit. Bookmark the permalink. It sounds like you had a very interesting adventure.